Skagit City was located on the South fork side of the Skagit River, less than a mile southeast of where the river forks north and south. Tom Robinson drove me to the very spot a couple of years ago and the bank is never covered with ferns and brambles where these buildings stood circa 1890-1900. The town began near where Barker's Trading Post opened in 1869. Within ten years, most of these buildings cropped up as Skagit City became the major crossroads for trading in the area that became Skagit County in 1883. During the 1870s, hotels, stores, saloons, a school, church, the Good Templars and Masonic lodges and other businesses were built to accommodate those who were claiming land above the river's log jams located where Mount Vernon is today. When those jams were cleared in the late 1870s, the town declined as other villages formed along the upper stretches of the river and sternwheelers ascended the river as high as Sterling and Hamilton, depending on the depth of the river. By 1906, only one building remained — the general store of Daniel E. Gage, the building at the far left. John G. Kamb Jr., a descendant of two pioneer families on Fir Island, showed us a faded copy of this photograph at the Skagit City School that does not have a date but the old handwriting on it indicates that it was from the 1920s or 1930s. It noted that the Gage store was the only one still standing at the time of the notation. Besides the store, the note indicated that the church at the far right was Baptist in affiliation and that the large white house in the center was the home and office of Dr. William Thompson. 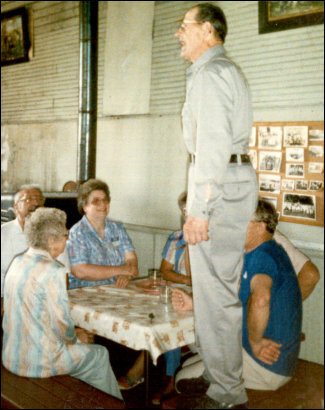 Ronnie Holttum addressing the 1985 Skagit City School picnic. The annual picnic (usually the third Sunday in July) will be staged at the school in 2010 from 1-4 p.m. on July 18, with the NW Washington History Detectives. 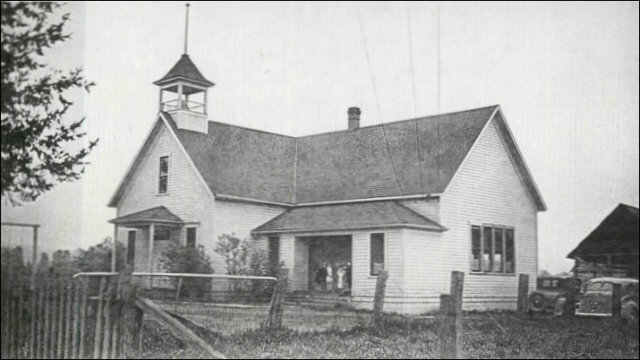 In May 2007 the Skagit City Community Club met at the old Skagit City School, at 1552 Moore Road, just west of the Skagit City Road on Fir Island, to discuss the future of the school, one of two such schools that remain in Skagit City from circa 1900. The school building dates from 1902, with an extension on the west side that was added in 1907 due to rapid expansion of settler families on the forks of the Skagit, even as the town of Skagit City itself faded in importance compared to Mount Vernon. After a three-year break, the club is hosting its annual (usually the third Sunday) picnic 2010 from 1-4 p.m. on July 18, with the NW Washington History Detectives. The Detectives have been meeting all over the county in small towns since last winter. Local residents are especially urged to come out and contribute their opinion, and maybe some of their time, to maintain and possibly restore this fine old rural school. Just about every ten years a newspaper story surfaces about how the bell may be tolling the last time. Wayne Schuh, the current leader of the club, insists that this is not the case, especially if his fellow volunteers have anything to say about it, but he emphasizes that they need people who can provide expert advice to solve some problems. The group faces a classic Joseph Heller Catch 22 conundrum: they need to welcome the public and school classes to the building more often but they also need to address some structural problems before they can stage more public tours and usage. The good news is that the group already attracted more interested volunteers at their May meeting. "We don't want to appear to always have our hand out for money," Schuh explained. "At this time, we are instead asking for people who have ideas and expertise to help us assemble a long-range plan for insuring that the school is a community resource for decades to come." The most pressing problem with the interior is the lead-based paint that dates from decades ago, the last time that the school's interior was remodeled. The school closed in 1940, when many rural schools were consolidated with the Mount Vernon district to the north and the Conway district to the south. Three years later, the late Ronnie Holttum, who owned a service station in nearby Cedardale and who used to deliver oil by truck to the island, bought the school at an auction and started the club to maintain it. He also taught Sunday School here for two decades. Our NW Washington History Detectives meet-up is staged to revive interest in this very historic area and to help save the school from the wrecking ball. As with all our meetings, we ask guests to bring a potluck dish and there will be a $3 donation for administrative and organizing costs. We will coordinate this meet-up with the board of the school building and local organizations, and the help of John G. Kamb Jr. and Solveig Lee, who know the area very well. We ask guests to bring photos and scrapbooks and documents of the forks of the river, Fir Island, Skagit City and the surrounding area. Children are very welcome and we hope to have activities especially for them. See the link for details of the meet-up and a link where you optionally choose to join the group. Other high-priority structural challenges include the south wall, which sags every time a windstorm blows, and various problems that any building a century old suffers from. Ann DeMarrais, a neighbor just down the road, and John G. Kamb Jr., a Mount Vernon attorney and descendant of two pioneer families from the Skagit forks, emphasize that, in addition to contractors and builders, the group also needs people who have experience in working with grant agencies and regional donors. The annual picnic and a handful of rentals through the year provide just enough income now to pay the taxes and minor expenses. Kamb has personally been working on preserving photographs that have faded badly over the decades when exposed to sunlight. The group hopes to attract volunteers with expertise in preservation, matting and presentation. Brief History of Skagit School and the school When settlers and merchants first realized the potential of the Skagit Valley in 1869, the forks of the river was the terminus for transportation. In those days, two decades before railroads arrived, the only means of transportation on Puget Sound and up the principal rivers of the Pacific Northwest was by boat up the river. Initially, pioneers and their families paddled canoes up to the fork, and then in 1871 they arrived via a little sternwheeler steamboat called the Linnie. That was the end of the road because two massive log jams choked off that river at the horseshoe bend of the river on the way up to where the city of Mount Vernon would be born in 1877. A trader named John Barker set up a trading post at Skagit Island, just north of the fork, in 1869. After he was brutally murdered in 1869, others continued the post on the northernmost tip of Fir Island, at the fork itself. They traded with the Indians who wintered at various locations upriver. And the earliest settlers along the river depended on the various trading posts here on the river to provide staples, tools and mail, especially during the rainy, stormy months when prior canoe trips to the closest town of Utsalady on Camano Island were impractical. In those early years of the 1870s decade, arrivals of sternwheelers up the South Fork of the Skagit were rare and exciting. Sometimes the pioneers would go months without mail service. Someone paddling his canoe would sight a steamboat turning towards Skagit Bay and would paddle up the South or North forks to alert settlers along the way about the imminent arrival. In 1874-75, merchants and boat owners in Seattle and Tacoma became aware of the prodigious crops being harvested by Samuel Calhoun and other pioneers on the flats between LaConner and the river and they decided to establish a regular route at least once a month. The sternwheeler Fannie Lake was the first regular boat on the river and the owners profited from the hay, grain and fish that they could carry back to granaries at the southern end of the Sound. In 1876, Daniel E. Gage took over ownership of the trading post after moving from Iowa to join his brothers on the river. He had clerked for a prior owner of the trading post but Gage decided to establish an actual general store, so he moved his stock to the homestead of Edward McAlpine, about a mile southeast of the fork. Territorial newspapers, especially Eldridge Morse's Northern Star in Snohomish City, alerted outsiders to the potential of the river farms and the store, and soon he had a going concern. Gage erected a two-story woodframe building, constructed of milled wood towed up from the Utsalady mill and he opened up a community hall in the top story, where settlers met to socialize and fraternal groups like the Masons conducted their meetings. Soon he was joined by other merchants, the Baptist Church and a trained country doctor and druggist, who built buildings on the beach on the South Fork. Schools were opened in log cabins along the east shore of the South Fork and by 1889, settlers decided to build their own school on the neighboring claim of John Wilbur. That was the beginning of the Skagit City School. This photo of the Skagit City School dates from 1937, while the Depression still lingered on nationwide, even though Skagit County was already showing signs of economic recovery. The county schools, however, were already slated for consolidation. The rural school building for Skagit City became part of the Conway School District. The interior of the building today is much like it was at the time of this photo, except the old desks on wrought-iron legs are missing. We hope a reader will have some idea when they were removed and how a small selection of them might be recovered. 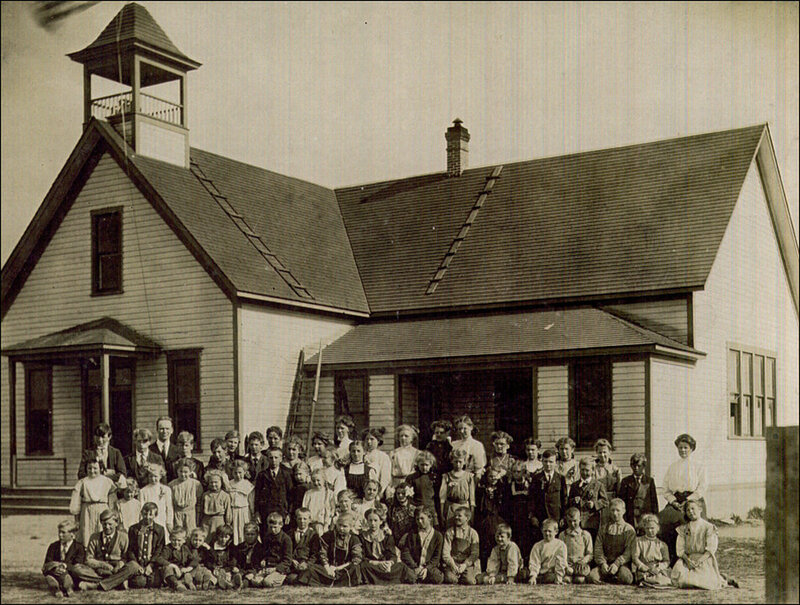 This photo of the school is labeled 1907, the year that the addition to the right was attached to the original one-room school. Click on the photo to see a larger version and more detail of the pupils — you may have to click on that version again to make it larger than your screen. We are thankful that John G. Kamb Jr. found a nearly complete list of names on the back of the photo. You can see the list below and you might want to print it out to match the names with the larger version. Can you help us identify the students not yet identified or tell us more about the identified students and their lives as adults? We also seek obituaries of pioneer Fir Island settlers and we especially hope that descendants of the students and their families will contact us.. Some of those original schools were undermined by high floodwaters of 1901-02 and the Fir Island settlers decided to build on higher ground along what is now called Moore Road. That proved to be a much better location and rapid growth of school-age population demanded that an addition be attached in 1911. This country school functioned until 1940, when schools all through the southwestern part of Skagit County consolidated with the Mount Vernon and Conway school districts. The late Ronnie Holttum, who had delivered oil by truck to the Skagit City area since the late 1920s, stepped up in 1943 and bought the school property and building, under the aegis of the Skagit City Community Club. That was the beginning of the group that has continued as the storehouse of area history for the ensuing six decades. The first-generation pioneers are long gone now, but the second and third generation of those families have devoted their time and energy to insuring that the school be maintained. Every ten years or so, newspapers feature an article about how the school bell may be tolling for the last time. But they have persevered. The Community Club is now at a crossroads. They need for people in the Fir Island and greater county area to become involved as they plan for how to proceed for the next decade. They emphasize that this is not a closed group. They welcome history lovers of all ages to become involved and to provide expertise and ideas on how the school can become a learning center for schoolchildren, genealogists and those who want to understand how Skagit County began. This and the Rosario School are the only two such pioneer schools that are still like they were in the old days. The school has structural challenges that will require funds to be raised from individuals, families and grant agencies. But at this point, the Community Club's highest priority is to attract history lovers who will meet first to discuss the future and solutions to the problems, along with a list of priorities. They especially want to attract people who have experience in various construction trades, as well as people who can help gather historical documents and photos and archive them at the school. Can you help? If so, please contact the principals above so that you can be alerted to upcoming meetings in 2007. And please mark for July 15 and the annual (third Sunday) Skagit School picnic, one of the few times per year that visitors can tour the interior of the school and see all the photographs from the last 140 years. Click on the photo above to see a larger panorama version. This was taken by someone who was standing on the dike at a spot on the South Fork below Skagit City. Looking north, we see the Edgar A. Gerreits home to the left. Bicyclists are riding on the levee and an unknown sternwheeler is in the water. If you drive along Skagit City Road, you will notice today that the dike is much higher and there are trees growing on top, unlike this photo, obviously taken after they were clear-cut. On the back of the photo, probably in Ron Holttum's handwriting: "Minnie Gerriet's Home, built by Ole Sundstrom, general carpenter from of LaConner, and Charles Matson for John R. Russell. Mr. Matson lived here as a boy. Built before there were dikes." The photo has a stamped ink imprint "Wm. T. Stephens, Mt. Vernon, Wash." We hope that a reader can tell us more about the home, the family, the photo, the photographer and the steamboat. Names from the 1907 photo above Top row, l. to r.: unknown boy, unknown boy, Mr. Dilling (teacher), unknown boy, unknown boy, Edwin Salberg, Albert Gerriets, Elmer Larson, Hilda Nelson, Sofie Salbert, Minnie Gerriets, Aurora Hegstrom, Nora Hanson, Nora Larson, Pearl Enquist, Olga Larson, Nellie Larson, (___) Moa, Ruth Martinson. Middle row: Effie McClean (sp.? ), unknown girl, Agnes Bylund, Sarah Moa, Myrtle Martinson, unknown girl, Daniel McClean (sp.? ), Reuben Asp, Eric Bylund, unknown teacher. Three girls kneeling between rows in middle of photo: Hildur Salberg, Edith Bylund, Ruby Larson. Front Row: Phil Iverson, H.B. 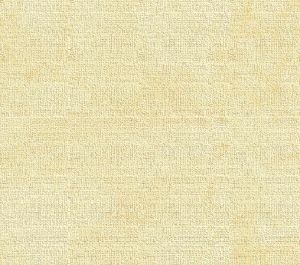 Lee, unknown boy, Harold Swanberg, Reynold Peterson, albert Salberg, Ralph Martinson, unknown boy, Walter Nelson, Hannah Fjelstad, Florence Nelson, Julius Moa, Andrew Edler*, unknown boy, Harry Hanson, Eric Enquist, unknown boy, Ellen Martinson, Stella Moa. The bell tolls for Skagit City School Skagit Valley Herald, July 15, 1998 Leroy Anderson recollects fiddlers on the front porch of the Skagit City School, baked salmon in the courtyard and people who assembled to exchange lost time and long distances for warm conversation and an embrace. Former students and friends of the Skagit City School would mark the occasion on date books, saving the third Sunday in July for the annual school picnic. It had been this way since the mid 1940s.s. However this year, the school bell tolls the end of an era. The Skagit City picnic, slated for Sunday, has been canceled [that was fortunately incorrect]. The future of the school is uncertain. Anderson said the building will be open for part of the day for those who want to reminisce. But there will be no formal picnic. The Skagit City Community Club, which owns the school, cannot pay almost two years in back taxes, a $2,200 bill. Anderson said the building is deteriorating and potentially unsafe. Appeals for donations have fielded little as once-robust picnic turnouts have waned in recent years. Anderson, a native of Fir Island and club president, has attended the picnics for two decades. "We're all kind of shook up" he said. "We're hoping we're doing the right thing. Our hands are tied. Most people in the community who we've talked to think we are doing the right thing." Tax exemption sought The club sought tax-exempt status because it operates as a nonprofit, but was denied. Tax-exempt status would have allowed tax-free use of he school. But state law requires a tax-exempt building to be utilized by the public more than once a year. For the club to organize more public events, it would have to upgrade the building to county code, a cost he estimated between $50,000 and $150,000. The board even hired Mount Vernon attorney Elliot Johnson to file an appeal before the state Department of Revenue, but he found no alternative. "The state felt it wasn't used enough for public functions," Johnson said. Pat Pinkstaff, former Skagit City School student and club vice-president, said she thought the school already was tax exempt. "There's nothing a single person can do," she said. "Someone who has a couple of hundreds of thousands of dollars to spend could." Anderson called the situation hopeless. "We just feel we can't keep it up anymore," he said. "The building is falling apart." A nominal amount of money comes from a collection and donation plate passed around each year at the picnic. But those funds are used to put the picnic on, Anderson said. The Skagit City School, located at 1552 Moore Road on Fir Island, is the last vestige of Skagit City. In 1977, the school house was declared a historical site by the National Register of Historic Places. A tradition begins The Skagit City Community Club board of Anderson, Pinkstaff, secretary Martha Tellesbo and treasurer Duane Brown, assumed picnic organizing duties initially begun by local history buff Ronald Holttum. Holttum purchased the Skagit City School in 1943 for $500 and started the picnics soon after. Even as toils of age and illness set in, Holttum continued to organize and attend the picnics. When Holttum died in 1995, the club maintained the picnics. They grew from an event exclusive to those who attended the school to include all residents of Fir Island, Pinkstaff said. Naomi Kelley, Ronald Holttum' s daughter, said she was sad to see the picnic canceled. "It's too bad they aren't going to have it," she said. "There's always been a faithful few who always showed up and kept it going for dad's sake. Skagit City School's history reaches well beyond the picnic. Built in 1888, the school was ravaged soon after by floods. In 1902 it was moved to its present site, The school was originally a two-story, one-room schoolhouse that was expanded after it was relocated. Holttum often used the main room for Sunday school classes. Grades first through eighth were taught until the school closed in 1940 [the same year that Sterling School closed]. Pinkstaff graduated from the eighth grade in the mid 1930s and Anderson attended the first grade in the late 1920s. Duane Brown was never a student, but this hasn't precluded his involvement. He took a position on the club board when he moved into the house next door nine years ago. He said some fault for the picnic's demise lies with organizers. "We needed to get younger people involved," he said. Photographs of familiar faces and past moments pasted onto the walls stirred memories in Anderson, Pinkstaff and Brown during a recent visit to the school. "People would come from Seattle, Tacoma and even California just to reminisce," Pinkstaff said. "If they had any connection to the school they would show up. People just took it for granted that it would always be." Inside, there's patriotic symbolism with its American flags, portraits of George Washington and Abraham Lincoln and a copy of The Declaration of Independence for Young Americans, a well-preserved handbook. The main room is sparsely decorated save a few pews, a bureau of books and a well-oiled piano. Anderson said he is uncertain what will happen to the school. Skagit County can assume ownership after taxes are three years delinquent. Brown expressed hope the picnics may resume. He appealed to the Internal Revenue Service to have the school recognized as tax-exempt because it is a historical site. "It could be turned into a wonderful art studio, dance hall or community building," Anderson said. See a sneak peek at an introduction about Skagit City. See the Journal portal section with links to stories about the history of western Skagit City towns and pioneers, including those from Skagit County and the South Fork. See the free home page for the Skagit River Journal. Are you a member of a chamber or visitors center or non-profit group in one of the old towns of Skagit County? Email us for information about how we can set up a webpage like this for your town at no cost, part of our Giving Back to the Community program, or for more information on your town's history? And if you have any documents or photos that will help profile your town, area or family, please email us scans or mail Xeroxed copies to: Skagit River Journal, 810 Central, Sedro-Woolley, WA 98284.